The first time I wrote this post, some people were a little taken back and wanted me to clarify what I meant by Maa and Maat, so here we go. 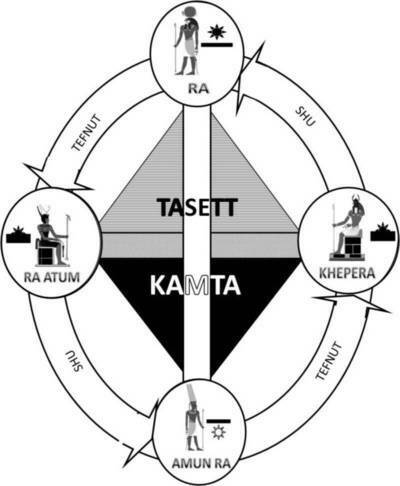 According to Kamitic philosophy, Maa is balance, order, justice, righteousness, etc. and it was personified as a woman wearing a feather plume on her head, while carrying a scale. In one of the pans of the scale was a heart and the other was a feather. The personification of Maa was called Maat. Now because most of the Kamitic writings have been lost, many Western philosophers while trying to understand the Maa drew upon Eastern philosophy and equated Maa with Karma. This type of syncretism occurs all of the time between cultures, but the problem that arose was that true understanding of Karma is not correct. The concept that most have about karma was created by the elite in India to oppress the masses, but that's another story. Anyway, as a result, when most people think about karma they interpret it two ways and in both, to the extreme. 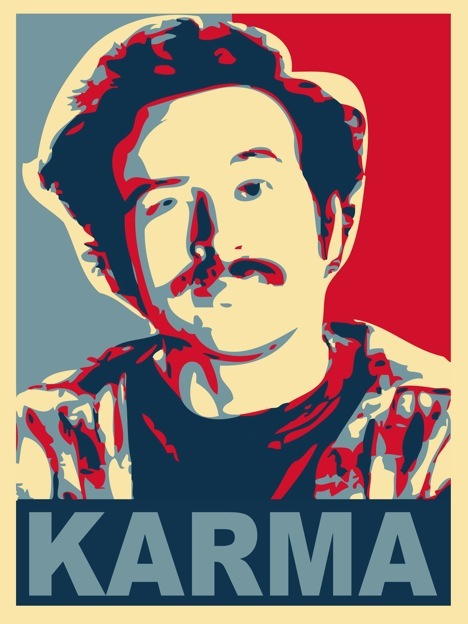 The first way to see karma is like Earl as karmic debt. They will not do anything wrong because they don't want to be punished in the next life. Funny thing is that most people who believe in karma don't even believe in reincarnation. Anyway, as a result, they go to the extreme with it and will allow people to walk all over them for fear that if they defend themselves. They will incur the wrath of God. The second way they interpret karma is the other way, as Divine Retribution. So, they will not act or move because they are waiting for some Cosmic Balance to set the record straight. You know those people who are waiting for divine justice from genocide, divine justice from slavery, divine justice from anyone that has wrong them. This is actually a spill over from the Western philosophers who wrote, "Vengeance is mine, saith the Lord." None of these approaches are Maa. Maa first off is not a set of codes, laws and rules commanding you what you should and should not do or else. Maa is a concept and principle based upon understanding how to work the Spirit of God. A lot of people got this wrong, myself included when I first set off on this road because I didn't understand the Spirit. My misunderstanding of Maa was due to my belief in generational curses. You see, I once believed that I had inherited some real bad traits from my paternal grandfather, because I was told so many times during my childhood how much I favored him. After my grandfather passed, I discovered some things that my father and grandfather had a very estranged relationship. My grandfather not knowing better was not very supportive of my father, so when my father had children. He had promised to do better than my grandfather, but he was not very supportive of me and my brothers. This is what convinced me that there was a generational curse on us and that it had to do with Maa. I also have an aunt who got pregnant at an early age, who had several daughters that did the exact same thing. So I thought this was all due to Maa and reincarnation, but this was wrong, thankfully. The Maa is based upon understanding the Spirit. The Spirit of God is omnipotent, omniscient and omnipresent. The keyword is omni-present, which means the Spirit focuses on the present, not the past and not the future. This is why in order to be successful in meditation and they tell you when to use affirmations, do it in the present-tense, not the future because it will never happen. So, Maa is about doing what is right in order to successfully tap into the Power of God within and stay connected to it. This means living your life by closely observing the cause and effects of your actions and behaviors in the present, so that you can create your future. Not living in the past or worried about what action you take how it will effect your future. It was because of the Maa, I was able to look at the mistakes my grandfather and father made and decide that I was not going to take the same path they took. This is why I ended up on the Kamitic road because I wanted to make a difference. Maa does not mean if you get smacked take it. Ummm, unless you have an ulterior motive like Dr. King, maa says defend and protect yourself and love ones from harm. If an injustice is being committed, maa says speak against it, shame Set (the Kamitic devil) and uplift the Kingdom of Osar. Maa says live in the present and allow the understanding of cause and effect to guide your actions and decisions, because when you do so. That's when all forms of evolution takes place. Maa means balance because it is the only road that brings balance. This is why on the maa aankh, the maa stretches vertically from KAMTA (spiritual) and to TASETT (physical). It is symbolizes that when there is Maa both realms (the spiritual and physical) are in balance, there is order, conditions are right, etc. Many of us are selling ourselves and those we care about short because we are not living Maa. We are full of ideas, have some wonderful talents but are not using them and allowing the Spirit to express itself through us because of fear what might happen. We have studied metaphysics and all sorts of sciences and our relationships are a disaster, finances not the best, children are living all helter skelter, etc. 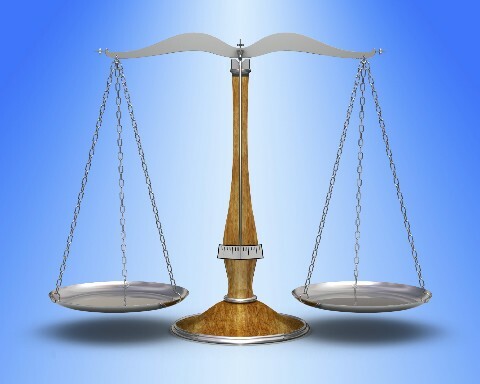 These are all signs of imbalance, which comes from seeing the limitations of the physical. The time has come shake off your shackles because Maa brings freedom. Maa allows you to see the whole picture, both the limited physical and unlimited spiritual (see the maa aankh). When there is imbalance it is usually because we are too physical and have not tapped into the higher aspects of the Spirit, hence KAMTA. Let Maa make positive changes in your life today by learning how to listen to the Spirit. Maa is not about restricting you from moving or living your life. Maa remember is about cause and effect, so if you put forth the effort to make a positive change today. Guess what? You will find an equal amount of spiritual assistance on the other side in KAMTA supporting your effort and shaping tomorrow. Maa states that if you do what’s right now, you will be protected in the future. Make positive investments in your children now and in the future they will care for their elders. Give birth to revolutionary change now and the children of today will restore the way of the ancestors. That’s BALANCE. That’s ORDER – That’s Maa. Maa is about positive action done today that yields positive results tomorrow and vice versa. So, do the maa (right) -thing!